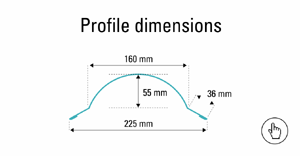 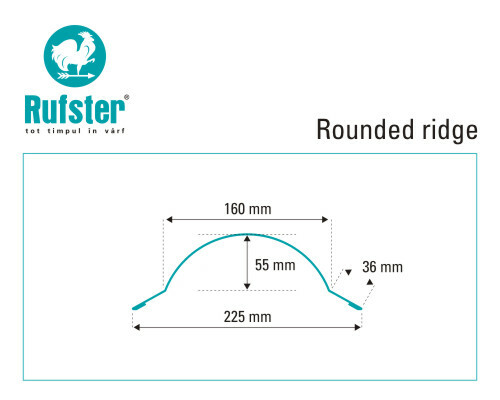 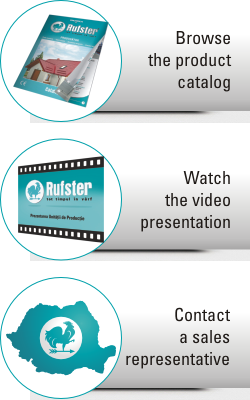 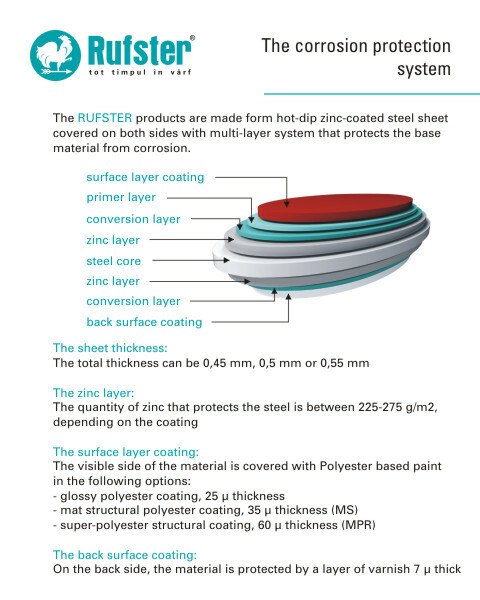 The RUFSTER rounded ridges are manufactured on the automatic ridge forming line from slitted flat sheets, being made from the same material as the main panels. 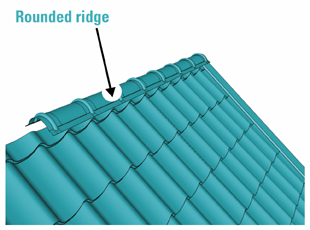 The rounded ridges are used especially for roofs covered with metal roof tile. 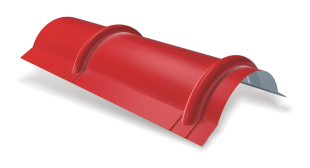 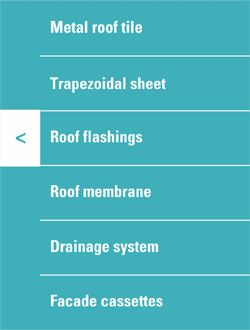 They are placed at the intersection of two slopes in order to seal the roof at the top and prevent infiltrations.